Google does not offer SEO certification or training. Google employees explain why organic search accreditation is unlikely to ever exist. Businesses who want to increase their position in the organic rankings of Google’s search engine often wish to hire an SEO expert or company to apply optimisation techniques to their site in order to give it a boost in the SERPs. However, looking for a quality SEO is like searching for a needle in a haystack. How can businesses tell the difference between the trustworthy SEO experts and those who are just looking to cut corners and make a quick buck? Google already offers certification for many areas of its business, including Google Adwords, Adsense, Analytics and Google Apps. Digital agencies can become Google Partners by taking regular annual training courses which allows them to display the Google Partner badge on their site and promotional materials. However, no such certification exists for Google’s organic search component. Why is this? It would certainly be useful for users and webmasters to check the proficiency of an SEO agency by knowing whether or not they are pre-approved by Google. Yet the search engine has openly admitted to having a multitude of internal discussions about certifications for SEO and has decided against creating such accreditation at this time. Gary Illyes from Google was recently asked about SEO certification. He responded by explaining that although there are many valid reasons as to why certification should exist for organic search, there are more reasons to explain it would be a bad idea. Related: Does Google’s Updated Artificial Intelligence Mean We Don’t Need SEO? If Google were to introduce certification, then they would undoubtedly need to create their own customised training path. They would also need to hire trainers to teach their approved techniques to SEO experts. 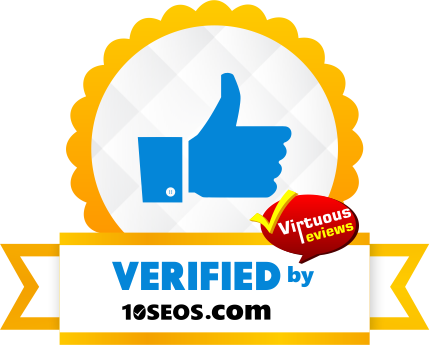 This is not a scalable process due to the volume of SEOs who would be interested in acquiring this certification. Also, the training process would obviously cost Google money and therefore they would need to charge for their certification courses. Matt Cutts, the former head of Web Spam at Google discussed the option of Google SEO certification in 2010 and described it as a ‘touchy subject’. A key issue that Google has with providing accreditation to SEOs that appear to pass their certification tests, is with trust. The search engine does not want to be linked with SEOs who have taken all the training yet are ‘secretly doing blackhat stuff under the hood’. He speaks instead of hirers who must trust their gut instincts when looking for SEO experts. Cutts makes reference to Google’s Search Console Help documentation that provides pointers towards what a webmaster should be looking for when hiring an SEO. He encourages users to ask questions regarding previous success stories and to check that an SEO agency follows the Google Webmaster Guidelines. Transparent reporting is something that any reputable SEO agency does as part of their package. Therefore you should always ask any prospective SEO experts about their communication methods and ensure that they will document and share any changes that they make so that you can protect your site and business reputation from any potential damage. Become informed about SEO before hiring an agency, so that you are able to distinguish the black hat companies from the quality SEO industry experts. We provide transparent monthly reports which detail everything we do for our clients.